Sharks are very abundant in the Myrtle Beach area and they are a lot of fun to catch using light tackle. 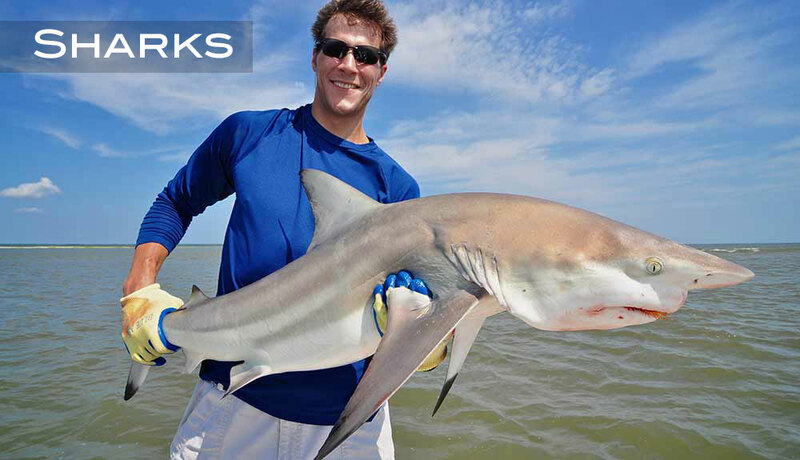 Particularly popular fishing trips for the kids, the Summer months is the best time of year to go shark fishing. The most common species of sharks that we catch here in Myrtle Beach are blacktips, spinner sharks, sandbar sharks, bull sharks, lemon sharks, and dogfish. Did you know? A world record tiger shark was caught off the Cherry Grove Fishing Pier in North Myrtle Beach, in 1964. The shark weighed 1780 pounds which stood as the world record until it fell to another tiger shark caught in Australia that was only 5 pounds heavier.